We have been incredibly blessed by our Great Aunt and Uncle. So many memories through the years... even now when our Aunt is suffering from Alzheimer's we still see the love radiate from her. Love you both! Sheila, I just had to pop over and let you know how much I love this layout. 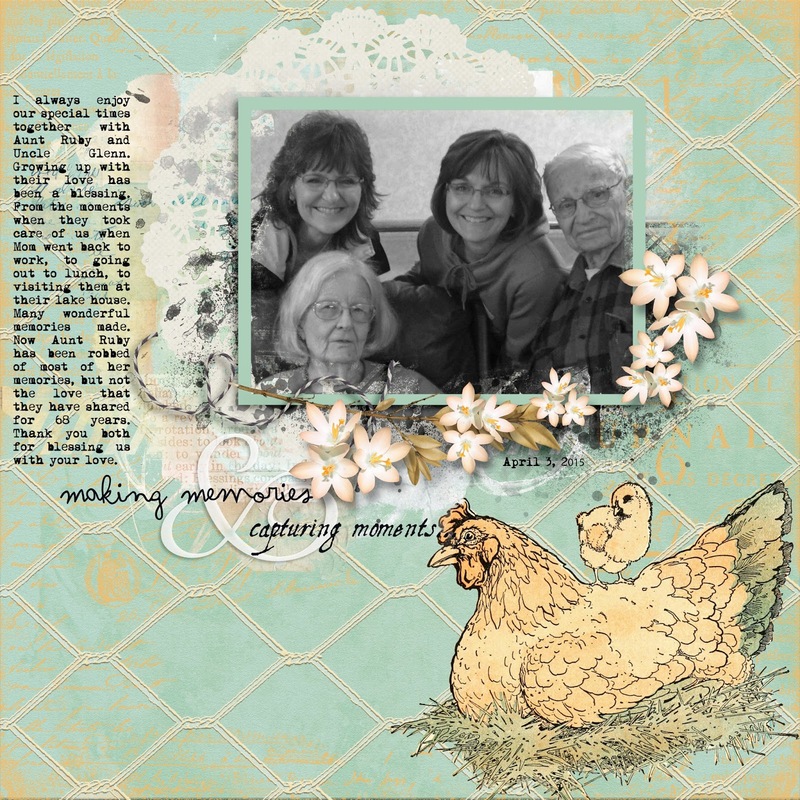 It's just perfect with those little white flowers scattered around the edges, and the pretty chicken farm paper! What I really loved was your heartfelt journaling on the side. You have such a beautiful soul...and I feel blessed every time you share it with us. Thank you!